Voting for the 2019 board elections are now closed. Installation of the new board members will take place at the Annual Membership Meeting in Philadelphia. Click here to register and see the schedule of activities. We look forward to seeing you in Philadelphia. Click here to read NCIHC's response to the border crisis. Mass murders and the targeting of individuals because of their race, gender identity, sexual orientation, and religion have become the new norm over the last two years in the United States. This is not just an atrocity, this is unacceptable. We are slowly developing into a country where not only our lives, but our mental health and stability are at risk. We mourn with families of people killed, yet nothing is done in leadership to deal with the root cause of the issues, including poverty and gun violence. Political leaders have fomented hate speech and created the toxic environment that impacts us today and will for generations to come. We, at the NCIHC, as well as all who stand for peace and humanity, have the responsibility to speak out against this vitriol and serve as persistent fighters for justice. We must support those who are very directly impacted by our chaotic society, and to care for and work with our diverse communities. We stand in solidarity for justice and we advocate for those activists who can and will transform the current environment of hatred and violence to one of peace, acceptance, and the celebration of our differences. Words matter!!! Let us be a voice for those who are living in crisis and fear. Let us stand for dignity and respect to work against the divisive political environment that leads to hate crimes and violence. We strongly encourage you to use your personal voice to vote and support those politicians who foster a climate of peace and unity and who represent our values of inclusion and respect. enhance language access in health care in the United States. Click here to read the press release welcoming the new 2018 Board of Directors. Read and download the Code of Ethics, Standards of Practice, and the NCIHC Working Paper Series here. 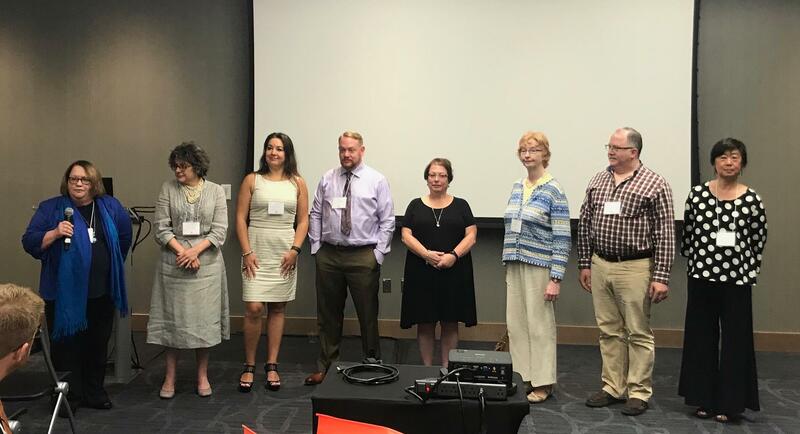 The NCIHC is composed of leaders from around the country who work as medical interpreters, interpreter service coordinators and trainers, clinicians, policymakers, advocates and researchers. Learn more about the benefits of organizational and individual membership here.